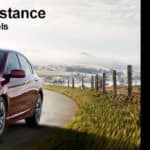 2015 Honda Vehicles Now Standard With Roadside Assistance Honda offers peace of mind with it’s new roadside assistance program for new 2015 Honda vehicles. The new 24-hour nationwide roadside assistance program is for the new warranties 36 month or 36,000 miles term. What is the Honda Eco Assist and Honda ECON Button and how does it help you drive further on a tank of gas? A method of increasing the fuel efficiency used on most 2012 Honda Civic models, 2012 Honda CR-V, Civic Hybrid, Insight, and CR-Z, Eco Assist consists of two parts: the ECON mode and the Driver Feedback System. While each method can work independently, together they help drivers maximize fuel efficiency for their specific driving conditions. Safety is important to Honda and it should be important to our Jackson area Honda shoppers as they decide on their next car. The Insurance Institute for Highway Safety (IIHS) gives nine Honda models, including new 2012 Honda CR-V, the highest possible safety rating available. Are you ready for $4 a gallon gasoline? Analysts say we could see record high prices near $5 per gallon Memorial Day weekend. As we help our customers with their vehicle search one question we like to ask is “What made you consider a Honda?” The most frequent answers are quality and reputation based either on their own previous experience or a recommendation from friends and family. Staying laser focused on what is important to car buyers is how the Honda brand earned its best-ever ranking in J.D. Power and Associates’ Initial Quality StudySM (IQS) for 2011. Are you looking for a fuel-efficient car that has up-to-date technology, smooth driving, and a sleek appearance all at a great price? 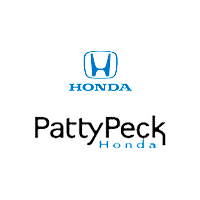 Let us tell you about the all-new 2011 Honda Insight available at Patty Peck Honda. Patty Peck Honda is teaming up with Zippity Doo Dah® to raise money for Blair E. Batson Hospital for Children at the University of Mississippi Medical Center. Gas prices have recently gone through the roof, so we’ve asked our Facebook fans to give us a few tips on how to burn less gas. They have suggested some fabulous ideas on how to save money while cruising around town. Have you ever wanted to be a Sweet Potato Queen®? Well now you can be! We are creating Patty Peck’s Perfectly Pretty Power Queens chapter and YOU can join! In Edmunds.com’s first annual Lowest True Cost to Own (TCO) Awards, Edmunds identified vehicles that consistently maintain the lowest overall ownership costs in their respective segments. TCO calculations involve virtually everything it cost to own and operate an automobile for five years including depreciation, taxes & fees, fuel cost, maintenance, repairs, tax credit (if any), financing and insurance.